Huge Savings Item! 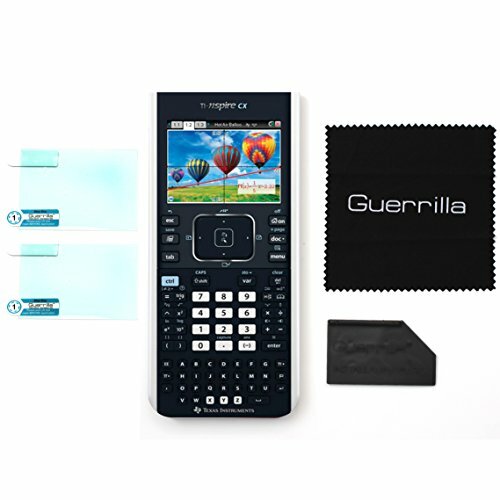 Save 17% on the Guerrilla Military Grade Screen Protector 2-Pack For TI Nspire CX & CX CAS Graphing Calculator by Guerrilla at Pear Farm. MPN: TINSPIRECXSP. Hurry! Limited time offer. Offer valid only while supplies last. Protect your graphing calculator with these military grade screen protectors! The screens on the graphing calculators are easy to get scratched up. Protect your graphing calculator with these military grade screen protectors! The screens on the graphing calculators are easy to get scratched up. Make your calculator last longer with this small investment! If you have any questions about this product by Guerrilla, contact us by completing and submitting the form below. If you are looking for a specif part number, please include it with your message.